Very Good. 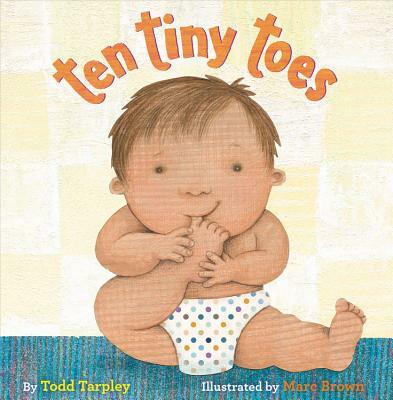 A tender tribute to the life that awaits each new set of ten tiny toes-featuring heart-warming collage illustrations by Marc Brown and including babies of every size, shape, and color! Picture book. Sewn binding. Cloth over boards. 32 p. Contains: Illustrations. Intended for a juvenile audience. Good. 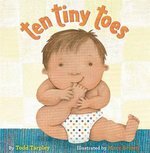 A tender tribute to the life that awaits each new set of ten tiny toes-featuring heart-warming collage illustrations by Marc Brown and including babies of every size, shape, and color! Picture book. Sewn binding. Cloth over boards. 32 p. Contains: Illustrations. Intended for a juvenile audience. New. 2018. Brdbk. Board book......We ship daily from our Bookshop.